Whether making a sale, starting a business, or simply doing some networking, your business card is mission critical to establishing your presence as a professional. As more and more business is done remotely and online, the humble business card is becoming obsolete. It’s time to take business cards to the next level. Enter business cards with video. There are two things you might be talking about when you talk about video business cards. Either a physical business ‘card’ that incorporates a small screen displaying a video, or simply an online video equivalent of the traditional business card that explains and sells your services, and provides relevant contact info. If you’re in a position where you meet people face-to-face frequently, there’s a business card upgrade for that. 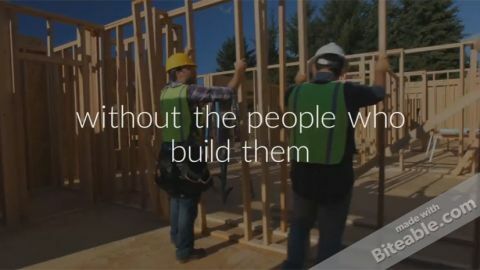 Advances in LCD and battery tech have made it economically viable to build actual videos into your marketing materials. Companies like Video Plus Print, Thevideocards.com, and TV in a Card will create card-sized brochures with screens embedded to play your video. No wires, no wifi, no equipment needed! Use your video to show the details and visuals you can’t convey on a 2-D index card. 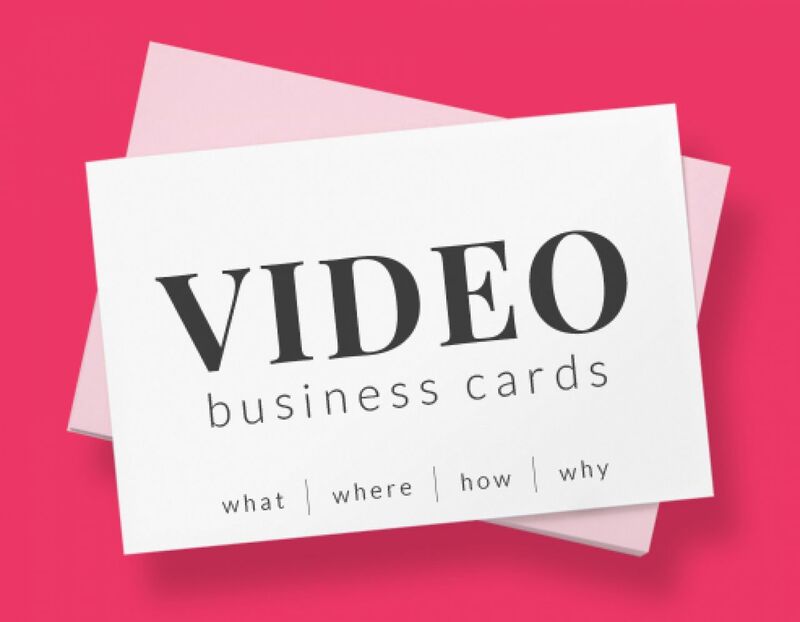 While it might not be feasible to replace every business card with one of these, physical video business cards are a pretty cool and attention-grabbing way to reach out to your high-value prospective clients. No matter what sort of video business card you’d like to have, Biteable can help. Biteable’s free, easy-to-customize templates help you take it one step further. Here are some of our favorite templates you can use with any business. If you have a particular skill or craft, show off your talent! With Biteable, you can upload your own footage, so catering companies, interior designers, crafters, and even mechanics can use these templates to show their skills in action. Are you in a more image-driven field? 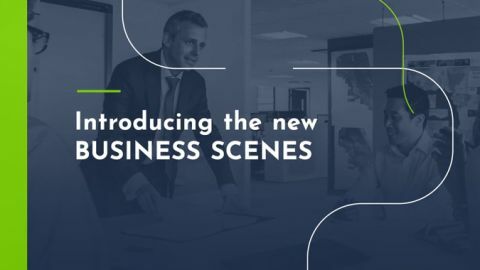 For architects, photographers, and graphic designers, a video template that relies on lots of strong imagery can tell a better story than a traditional business card ever could. It’s like putting your portfolio straight into the hands of every potential client you meet. Many of Biteable’s templates give you the ability to package your pitch for clients on the go. Especially if you’re at a trade show trying to sell a service, handing someone a video that breaks down the complexities of your profession is a great way to stand out from the crowd. The format of these templates allow you to clearly explain the complicated nature of your job! The online version of video business cards is more like a digital equivalent of the traditional paper card. For people working remotely or globally, this is the ideal solution for making connections that last. So what should a video version of your business card include? What should your video business card include? First, keep it short and simple. Consider this the equivalent of your elevator pitch. This video should be less than a minute to hold your viewer’s attention. Show your very best images, and use text slides to help keep the story of who you are and what you do crystal clear. End with your logo, a call-to-action, and relevant contact details (in most cases, probably just your website will do). This video uses strong visuals from the photographer’s portfolio to showcase the best of what she can do. Although it doesn’t end with a strong CTA or with her contact details, you get a sense of what her style is and can tell if you’d hire her for your wedding. Okay, we’ll admit it, this video was made with Biteable, but it’s a great example of an effective video business card, and what you can do with Biteable. 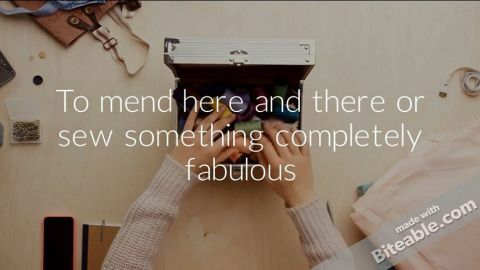 The subject matter is slightly complicated, but in less than a minute, they explain what they do and how to find them, ticking all the best practice boxes. Where to promote your video business card? A business card video has the potential to give you far greater outreach than a stack of paper cards. Spread the word about your business from Facebook, YouTube, and Twitter. With more than 4 billion video views each day on Facebook, it’s necessary to put your video business card front and center on your business’ Facebook page. Set it as your page’s featured video and link to it in your bio! Similarly, YouTube allows you to add a trailer to your channel so when a new viewer visits, that video will play automatically. You can also link to your business card video from your personal outreach. Add a link from your email signature to make cold calls and emails more powerful. You might even consider adding a short link to your video from your actual physical business card. Create a bit.ly link to the YouTube or self-hosted version to keep track of where your views are coming from and adjust your outreach accordingly.